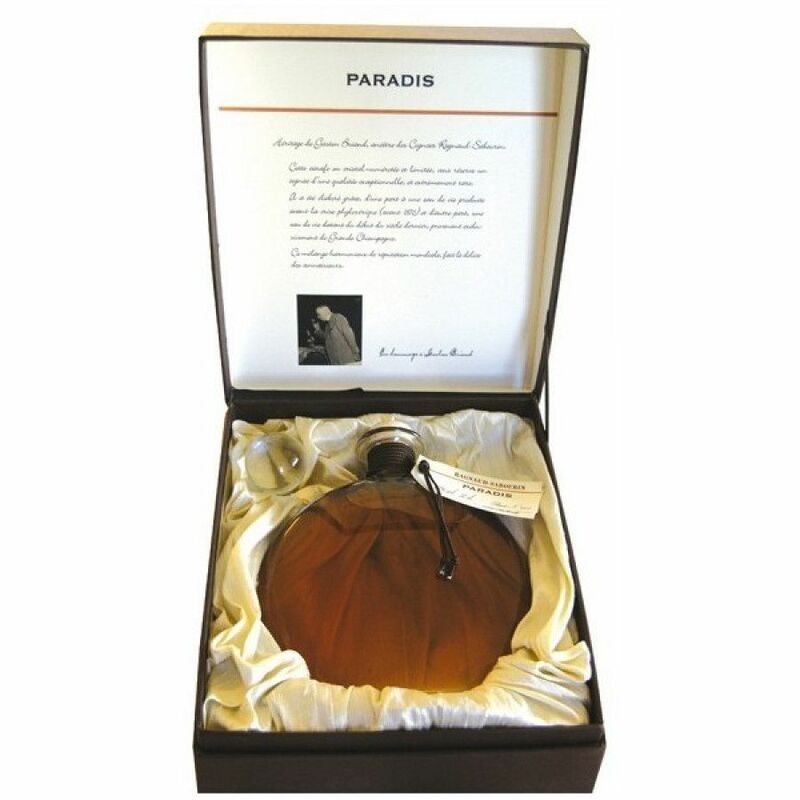 Ragnaud Sabourin Cognac Paradis Heritage Briand is a blend of very old eau-de-vie. 10% date back to the the time before 1870, and 90% are early-20th-century eaux-de-vie. The grape varieties of this very old cognac are Ugnin Blanc, Colombard, Folle Blanche, Jurançon, Blanc Ramé, Bouilleaux, Balzac blanc and Chalosse. What an impressive list. Clear rancio in this Hors d'Age blend of cognac. A nice mahognay colour, some leather and smoke notes. A somewhat unusual taste for a Grande Champagne cognac thanks to the use of Folle Blanche grapes.